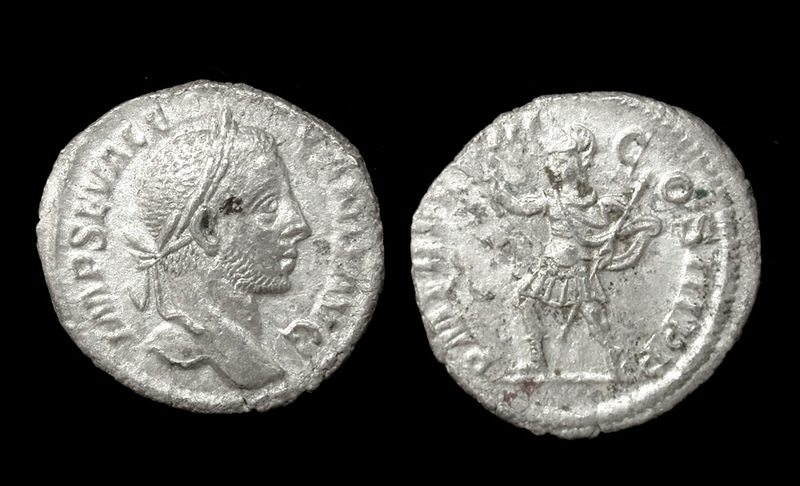 Rome Mint Struck c. 229 AD. Con/ Soft strike on right side, otherwise VF; minor surface porosity. Bold image of Mars. Rev/PM TR P VIII COS III PP; Mars proceeding left, holding branch in left hand and spear and shield in right hand.